I’m an ideas kind of girl. For example, I have a list of random notions for possible blog posts with 1352794293 items on it and yet only very few of them actually become blog posts. Sometimes though, I have a really great idea and can’t shake it off. 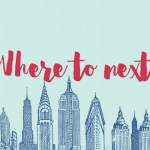 Lately, I’ve been thinking about kickstarting an e-magazine for fabulous, bookish YA readers. OMG girl, aren’t you busy enough?? Ha. Yes, I’m busy. But I’m also busy dreaming about making this idea of mine happen. I used to like reading magazines, you see. But the local ones we had in print just felt too focused on fashion, gossip and trends and that wasn’t something I was very interested in. Later on, I discovered a very awesome artsy and indie e-magazine (slightly Frankie-ish) that I really enjoyed but is sadly on hiatus now and I’ve always wished there was a counterpart for it that focused on books instead. Since there isn’t one, how about I start one? The concept? 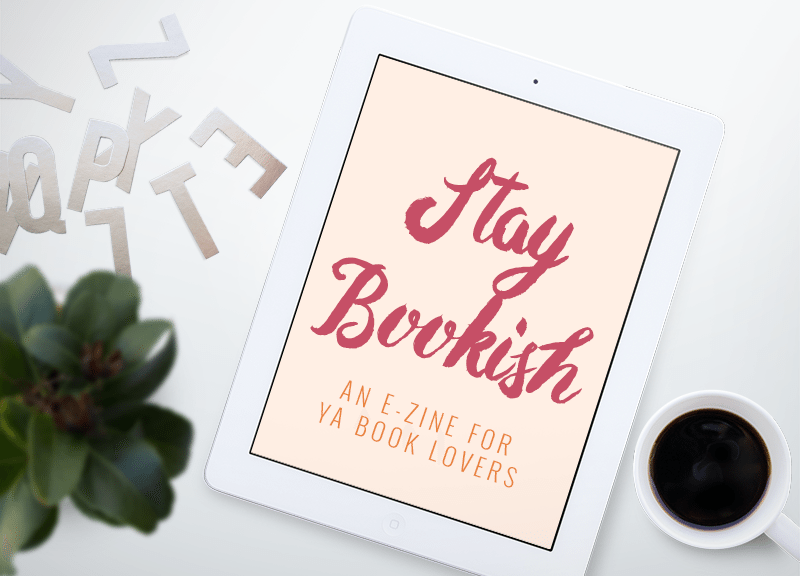 A downloadable bimonthly collaborative e-magazine that features every awesome thing related to the love of YA books- authors, bloggers, fan art, news, etc. It’s a crazy idea that will probably need lots of work and I’ll have to look for contributors to help me make it happen. I don’t even know if people will be interested in reading it, much less contributing to it. Again, it’s just an idea so far. I’m telling you about it because I want to hear what you think! Do you like to read magazines/e-zines? 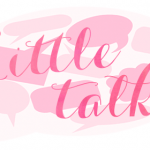 Would you be interested in a bookish e-magazine? Would you want to be a contributor if ever? Do you ever get big crazy ideas that you would like to actualize? This looks like such I good idea, you should definitely one day try and do it, I know I would definitely read it! This is such a great idea! ❤️ Of course I would love to be a contributor or part of it! I love to be a part of being a contributor. This is a nice idea Ate! You’re right, there’s no magazines related in books in our country. Ooh, This is such a creative idea. I would love to be able to contribute or be able to participate. I would read it and be willing to contribute. What a fun idea to play around with. Good luck! Ooh, this sounds like a great idea, Hazel! I would love to be a contributor if you decide to go through with this idea-especially because I love writing for magazines. And yes, I get crazy ideas ALL the time. Sometimes I go for them, and sometimes I hold back, but I’m still working on managing it all. This is such a fantastic idea! I would totally read a YA e-zine! Yes yes!!! I would definitely read this and hopefully contribute some really good books to read as well!!!! A magazine focused on all things bookish? YES PLEASE. I would totally read that and would even love to contribute, if I could. You know when magazines go on sale and everyone runs out to get a copy to read? I can imagine that with this. Fabulous idea, Hazel! Hope to see it brought to life!! Amazing idea, luv! I think it will be fabulous if we have such a magazine and I am already looking forward to see what you’ve planned! I was thinking of doing the same thing a few days ago. I think it’s going to be wonderful!! I’d love to contribute as well! I actually had the same idea when I first started blogging, but I didn’t think I’d ever be able to pull it off. My school newspaper has slightly less than thirty staffers and it takes us three weeks to put together our monthly paper. I didn’t think I’d have the time to do it. Still, I think it’d be amazing. I’d love to be a contributor for writing and design. I think an e-zine would be a great way to combine my love of books and journalism. This idea sounds fantastic! I definitely wouldn’t mind (please let me!) contributing. :) I agree with you about magazines, at least, ones that aren’t focused (unlike sport, art, photography, cooking, etc) being about fashion and trends and all that. I do love Nylon though, there’s definitely a fashion focus, but it’s not the typical kind really and there’s generally emphasis on music, movies and books a bit too. This sounds pretty rad! If you ever need a guy to rant nonsense about bookish content (or basically anything), I’d be stoked to contribute! I would love to contribute to an e-zine! I’ve written short stories and such for lit mags before, but it would be cool to talk about literary love as well. YAS ALL THE WAY HAZEL. Believe me when I say you come up with the coolest ideas ever. That’s a fact. I’ve been a part of my school’s newspaper for a few years now so if you need any contributors/editors for the job, you have my support! I get crazy ideas ALL the time. xD And seriously, my blog drafts box is stuuuuuffed with all these ideas and I barely ever finish them all. I have sticky-notes everywhere with snippets of ideas that don’t make sense later. lol SO YES. If you have big and great ideas and you’re super passionate about it, then go for it. xD I’d read it! Great idea! Definitely would read, would eventually be interested in contributing at some point once Imaginary Misadventure is fully up and running. OMG, this is a fantastic idea, Hazel! If you ever decide on working it through, I’d love to be a contributor! This is an absolutely epic idea! I’d love to help out in any way I can. I’m not usually an ideas kind of person but every now and then I do have a lightbulb moment. I’d love to see this idea come to life! Hi Hazel. This is great! I used to collaborate e-magazines on Tumblr before. We feature Tumblr bloggers who are fashion blogs, mostly street-style blogs. We interview them, etc. Send me an e-mail! I would love to join. Love this idea! I think it’s about time that there’s an e-mag for book lovers that’s easy to connect with and if you ever need any help, feel free to shoot me a message! :) I’d love to contribute or something else! This is a great idea! I’m the same: I’m not really into fashion etc., so those sort of magazines don’t really interest me. A magazine focused on books would be great – also including movies would be great, even if it is only book-to-movie adaptations. Oh, and what about music that is book related? I love this idea! I would definitely read this, and I would be more than happy to contribute. I love love magazines since ever I was young, and I’ve only rarely read gossip/fashoin magazines. And I think your idea must be a reality,I will wait impatiently until it become one. I don’t believe how nobody ever thought about this idea, literally it is the best thing ever. Please update us on what you’ll do with the idea. This sounds like such a great idea, Hazel! Looking forward to it! If you need any assistance just send me an email. I don’t mind helping out. Hazel this is a fantastic idea which I am sure many of us book bloggers will heartily support, I am guaranteeing that Authors and Publishers alike will also want to participate. I cannot believe that no one has done it yet as there are magazines for everything, some topics/subjects even have multiple magazines and personally I think reading as a hobby is really up there with knitting, arts & crafts and scrapbooking. Since I’m a big YA book addict and love everything YA, I am so excited about this idea! Hi! 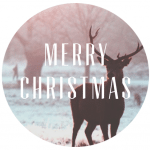 I I woke up this morning with a Raw idea to make a bookish e-mag. Then I googled abt it and came across with this post. Can you tell what was your progress after this? Did you manage to make an e-mag?